What Is the Purpose of COSHH Materials? Many workplaces make use of substances that can be harmful to humans. Harsh cleaning chemicals, primers, paints, oils, fuels, and many other things can be harmful to humans if they come in contact with them. However, many people are required to work around these substances on a regular basis. 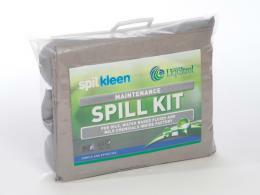 People are not perfect and accidents do happen, which is why it's important to be prepared to deal with the spill of a hazardous substance. 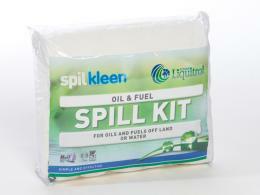 Spill kits, pallets, drums, containers, and chemical absorbent materials are critical. With proper COSSH assessments, substances hazardous to health can be handled safely. 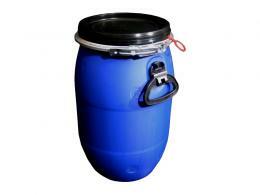 Having the right hazardous substance containers can also prevent an accident from happening in the first place. Also, it's important to keep these substances properly labelled in the workplace. With correct control measures so employees know exactly what they are dealing with. When employees are aware of the health and safety dangers of dealing with a certain chemicals, accidents are less likely. Where Can COSHH Materials Be Used? Many kinds of COSHH products will get used in a workplace that makes use of dangerous chemicals. This could be anything from someone's personal workshop to a warehouse. Anywhere where chemicals are in use that could cause harm to a human needs COSHH products on-site. Proper risk assessments will prevent accidents that are avoidable. 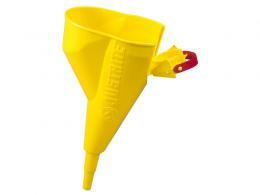 Deploy a COSHH stand where dangerous chemicals get used in large quantities. Our COSHH cabinets conform to COSHH regulations. Specifically, the Control of Substances Hazardous to Health Regulations 2002. Trying to secure an industrial-type worksite? Make use of dangerous chemical labels. 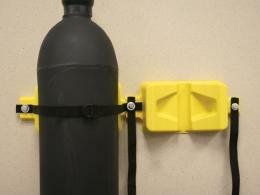 Data sheets and proper signage can inform employees of safe workplace exposure limits. Stock products to control exposure and clean up in case of exposure to substances. 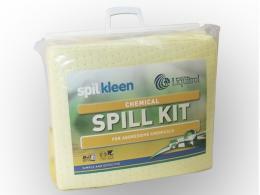 Chemical/oil absorbent socks can also help people clean up messes so nobody gets hurt. Labels can make a difference in safety, especially when new employees are starting. New people may visit an area where they could get hurt if they don't know what chemicals are present. Looking for workwear? See our wide range of personal protective equipment PPE and high visibility clothing. COSHH products come with a one-year parts and labour warranty. Most of them are also shipped within 3-5 working days, so they arrive quickly.